The third book in the acclaimed series about The People Of The Ocean by the mother and daughter duo Camilla and Viveca Sten is now available in stores. In the two previous parts we have gotten to know 12-year-old Tuva, the girl from The People of the Ocean that needs to battle the dark forces lurking in the ocean. In Mareld (Child of the Arctic Fires) the suspense gets thicker and time has come for the big battle – the Battle of the Baltic Sea. Tuva is the only one who can stop the catastrophe. – The archipelago is our paradise, but who says that evil and dangers aren’t lurking beneath the surface of the ocean? 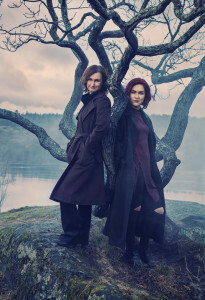 Together we wanted to show the wealth of ideas that exists in the Swedish tradition of storytelling and write about thrilling adventures, but also raise awareness about environmental questions that are close to our hearts, says Viveca Sten. – It’s time for Tuva’s most difficult ordeal and it’s a heavy burden she carries on her shoulders. It’s not only about her survival but everyone’s. 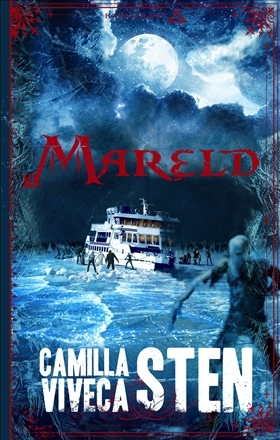 Mareld is much darker than our previous books, says Camilla Sten. As in the two previous parts in the series about The People of the Ocean Mareld has a strong anchorage in Swedish and Nordic mythology, but also the pollution of the Baltic Sea plays an important role. The series about The People of the Ocean has been sold to five countries and been translated to five languages. The first book in the series – Djupgraven (The Child of the Skerries) – has been nominated to the ALE prize in France and Sjörök (Child of the Mists) to This Year’s Suspense Book for Children.